Cited as the "architechural gem" of Shawsheen, this administration building follows the "colonial design" of the rest of the village. Its setting by the river is an attractive one. Erected in 1923 at a cost of $2,300,000. Originally the building housed a large assembly hall as well as sixty offices. 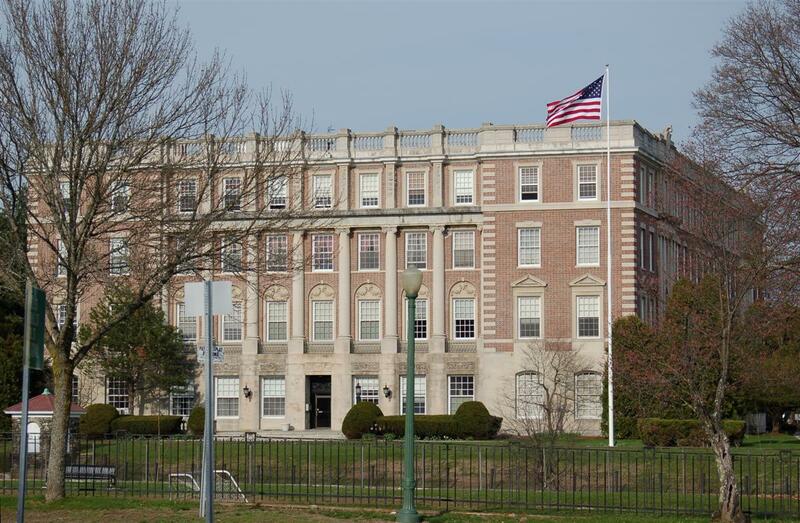 It consisted of four floors Administrative offices of the American Woolen Company were moved here from Boston in 1923. Bought for boarding school, Nov. 1, 1945, by Brothers of the Sacred Heart. Purchase included Balmoral Athletic field and Cardinal Chushing Gym. School closed by 1975 due to declining enrollment. Town wanted to acquire open space areas accompanying total school parcel. Funds appropriated from town in 1976 for land and gym. 1977- Crowning Shield Corporation aquired building. Developers for conversion of school to apartment use, mostly one bedroom. Crowning Shield has no desire for land. No exterior alterations to building are planned at this time. See Area Form - Shawsheen - for complete bibliography. Original Use Office Bldg., Amer. Woolen Co.